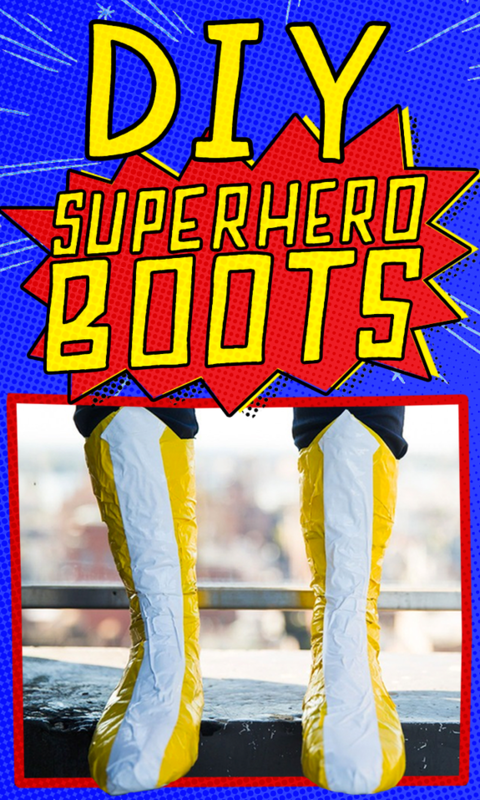 Finally, you have the proper footwear for saving the city. Finding a Halloween costume, or better yet, a good cosplay for Comic-Con, can be both time-consuming and cash-consuming. 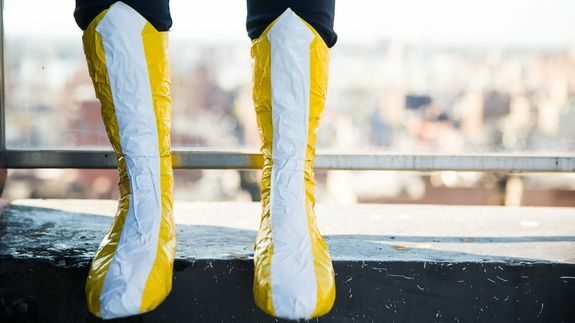 Luckily, all it takes for a fine pair of footwear for your custom superhero costume is a role of tape (and maybe a friend). Using colorful duct tape, some plain, flat shoes and a pair of stockings or socks that you don’t mind ruining, you’re just a few steps away from looking like a real hero.